Consumers as well as businesses all over the world today rely on mobile devices for quick and convenient interactions. And this, in addition to the advent of various devices like smartphones and tablets, has led to an increased demand of a variety of mobile applications. Mobile apps are playing a significant role in running businesses and are also influencing business decisions. However, the question that arises here is what makes these mobile apps so compelling and engaging for consumers? Obviously, a great mobile app development strategy is essential for creating a successful mobile app but it’s also important to have a strong app testing strategy to ensure that the app meets business goals and expectations of users. Mobile app testing strategy comprises quality testing of apps before they reach the app stores or target audience. Emulators are used commonly for mobile app testing and are available with all platforms. They are cost effective solutions which can be used to test any type of app. Testing teams can perform most of the testing using emulators but the test coverage is limited. Deploying and testing apps on emulators helps in avoiding the investment in mobile handsets for various operating systems. Also, emulators are free and can perform UI, performance and stress testing with 30-40% test coverage. Using actual devices is another great technique of testing mobile apps which provides real testing environment as well as best functional and NFR coverage. However, testing the app in multiple devices is a costly affair and, thus, isn’t always practical. But, this technique gives a more realistic view of test results, with 100% test coverage. It allows testers to performs all possible types of testing, including the ones that depend on hardware. In this technique, the app can be deployed and tested on a cloud. Testers from different locations can assess it using web interface. It saves businesses from establishing on-premise testing environments which are time consuming and requires investment on advanced testing tools, licensing, server configuration and other resources. Cloud testing environment also supports complex apps which helps in testing dynamic, complex and disparate apps. It provides real time testing results in which defects can be analyzed while the tests are running. Most of the mobile apps depend on network connectivity for providing rich functionality. Thus it’s important to test mobile apps in real network environments to assess the app behavior in real mobile networks. Network simulation tools can be used to test the apps in various bandwidth variations, network speeds etc. A great mobile app must deliver consistent performance across different network environments. 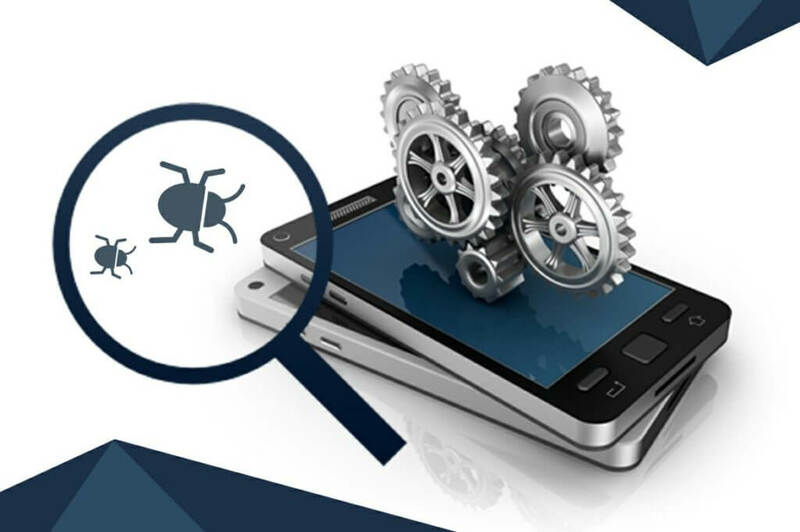 Automated testing is essential for a successful mobile app development. The technique helps to verify the compatibility modes of the app with latest operating systems. It validates backward compatibility during application upgrades. Test automation is usually done when development stages are long, scale and frequency of regression testing is high and functionality tests are taking place. Manual testing is significant in all stages of testing. It must be done for email, SMS and roaming alerts, for incoming calls, low battery etc. As the technologies have grown and expanded, manual testing has become more important because sophistication depends on accuracy. Voice or location based apps must be tested manually for gaining maximum benefit. A strong mobile app testing strategy is extremely important for making a mobile app successful. And, for this, selection of appropriate testing methodologies is needed to get desired results from testing. A perfect combination of testing practices and industry standards can help you develop remarkable mobile app for consumers.